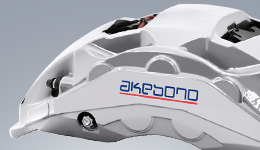 Akebono' s policy for engagement with shareholders and investors | Corporate Governance | Corporate Social Responsibility (CSR) | Akebono Brake Industry Co., Ltd.
Akebono, in the principles of the Corporate Governance Code, established this policy to contribute to sustainable growth and long term corporate value through constructive dialogue with shareholders and investors. 1. 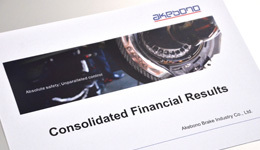 Based on the fundamental principal of treating all shareholders equally, Akebono will proactively disclose information about management policies, financial condition and business results in a timely and accurate manner. 2. Shareholder and Investor opinions will be communicated on a regular basis in the form of feedback to Akebono's Board of Directors. 3. 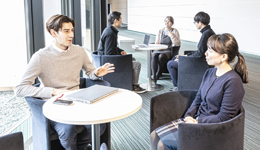 To the extent possible, Akebono will facilitate direct dialogue between shareholders and investors and members of the company's Board of Directors or Executive Officers. Akebono establishes Corporate Communications Office to facilitate effective communication with shareholders and investors. The Corporate Communications Office reports to the CFO, with a Representative Director of the company having overall responsibility for IR. 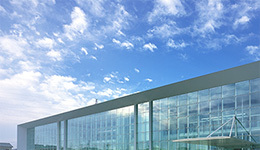 The company's Board of Directors oversees the Corporate Communications Office's activities as proactive communicating with shareholders and investors shall be conducted appropriately. 1. Planning and implementation of activities to maintain communication with our shareholders and investors. 2. 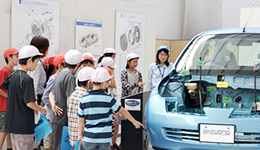 Conduct IR activities based on information exchanged and close cooperation with Corporate Planning, Accounting, Finance, Legal, Sales, Manufacturing and other related departments. 3. The Corporate Communications Office will manage insider information in accordance with Akebono's policy regarding insider information. Furthermore, investor meetings and other IR activities will be attended by at least two IR representatives to avoid improper disclosure of insider information, or the appearance of such. 4. The Corporate Communications Office reports back shareholder and investor opinions, concerns, etc. to the Board of Directors or Executive Officers. Feedback is also provided to other related departments, as necessary. 5. The Corporate Communications Office is responsible for identifying and understanding the company's share ownership details through the use of shareholder identification and other means.